It is our mission to provide a positive and caring environment for all dancers. Our staff strives to create relationships with dancers and to provide them with knowledge of all styles of dance. Dancers will be encouraged to grow technically in their dancing as well as artistically. 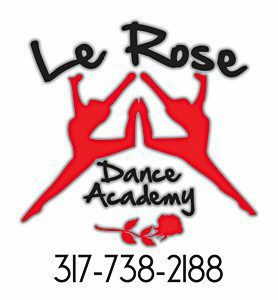 Le Rose Dance Academy has classes in preschool dance, ballet, tap, jazz, lyrical, acro, hip hop, musical theater and point with both recreational and competitive classes.